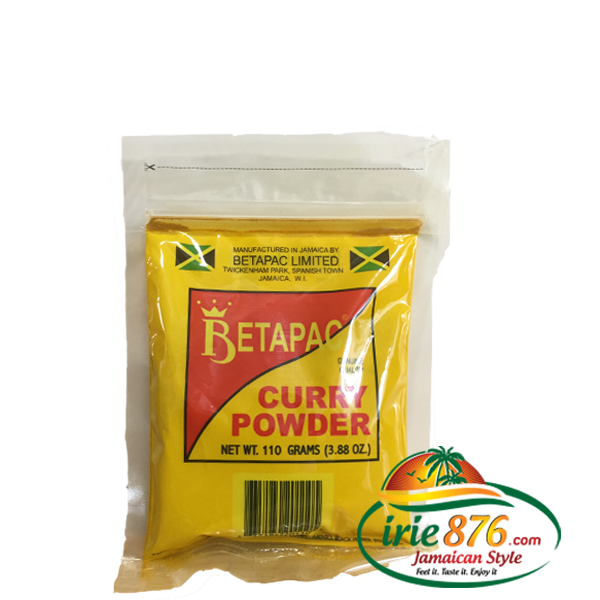 ジャマイカ食品・雑貨通販のirie876のホーム › Betapac Curry Powder ( カレー粉 110グラム. (ジャマイカのカレーチキンのために) ジャマイカNo.1のカレー粉. Betapac Curry Powder ( カレー粉 110グラム. (ジャマイカのカレーチキンのために) ジャマイカNo.1のカレー粉. Jamaican curry chicken ! Hot and steaming! 2. slice onions into small pieces and add to chicken (add thyme and a small amout of black pepper if you want a little heat…you can add scotch bonnet pepper instead of black pepper if you choose, but bear in mind that this pepper is very hot, so use sparingly). 3. Add seasoning salt to taste. 4. Mix in all seasoning to ensure that they are evenly pread throughout the chicken. 5. Put oil in cooking pot and place on fire. 6. Add curry to hot oil and mix in for 15 seconds. 7. Add seasoned chicken to the oil and mix in until curry spreads all over the chicken. 8. Cover and cook slowly on a low flame. 9. Watch fluid level as chicken cooks (chicken will develop its own) if too low add small amount of water. 10. When chicken is fully cooked, throw off fluid in a skillet. 11. Place the skillet on high flame until most of the water evaporates and you are left with leave a nice thick gravy. 12. throw this gravy on top of and over the cooked curry chicken. 10. Serve over white rice, bread, pasta, rice and peas, mashed potatoes, or cooked vegetables. 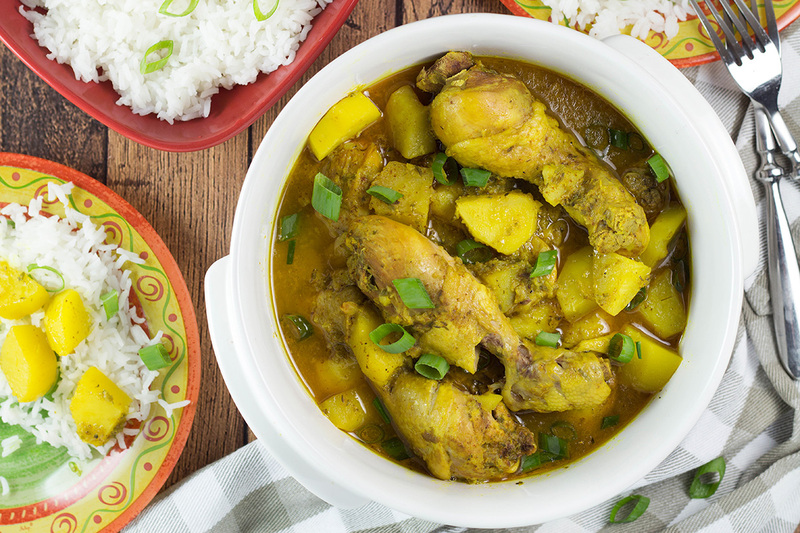 Try making it yourself with ” Betapac curry”, The award wining Jamaican curry powder!